Click on a question to view answer. We board Compass at 7:30 am for an 8:00 am departure. When do we arrive back into Cairns? We arrive back into Cairns at approximately 5 pm. How do I get to the Compass Cruises? You can either make your own way to the Marlin Jetty or we can organise a bus to pick you up from your accommodation house cost return bus pick up.Cairns city district $12.00Cairns Northern Beaches $22.00You can add bus transfers from your accommodation during booking. Approximately 2 hours to get to our first location which is generally Hastings Reef. Most people can try scuba diving while on board Reef Experience.Age, medical and health restrictions applyfor resort/introductory & certified scuba diving in Australia – and are stricter than in many other countries. *If you are thinking about trying a scuba dive, please read the Important Information page to ensure that you are fit to dive according to Australia’s regulations for diving.Age limit Minimum age for participating in a resort dive is 12 years old. There is currently no maximum age limit, however scuba diving is a potentially strenuous activity and should be undertaken by fit and active people of all ages.Medical & Health Restrictions It is important that if you are thinking about going scuba diving while on board Reef Experience, that you read the Important Information’ page first, to ensure that you are fit to dive according to Australia’s health regulations for diving.You will be required to complete a medical questionnaire before participating in any scuba activities. Some medical conditions, health issues and/or medications may prevent you from scuba diving (both past and current). For example: Heart disease, asthma, epilepsy or diabetes, high or low blood pressure or anything that may cause fits, faints or blackouts. 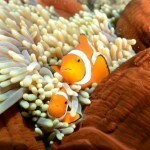 If you have ANY medical condition (past or current), health concern or ANY medication, please contact our friendly team before booking your dive – we’re here to help you have the reef trip of a lifetime and most medical restrictions for scuba in Australia can be addressed in advance with a simple email, whereas once you’re at sea it can be extremely difficult for us to get clearance for people to go scuba diving with a medical condition and/or medication – causing disappointment during the trip.Please contact our office if unsure or for any questions. Are there allocated seats on Compass? No, the seats are not allocated, however there is plenty of room and seating both upstairs and downstairs on Compass and a lovely big sundeck to work on your suntan and get some fresh air. Are there toilet onboard Compass? Yes, Compass has 4 toilets. Will I need any money? Up to 4 hours at the Outer Barrier Reef. Yes, weather permitting we do operate every day of the year. 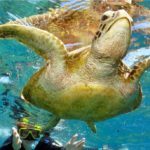 Often when the weather is cloudy or rainy in Cairns it doesn’t necessarily mean the weather is the same out on the reef, however, if you wish to change the date of your tour then we are more than happy to do so for you (subject to availability). We advise you give us as much notice as possible to avoid disappointment. Rarely!Cancellations are usually due to the threat of a cyclone which can happen on occasion during the summer months in Cairns. The only reason we would cancel a tour would be for the safety and comfort of our guests. If we have to cancel due to weather then we endeavour to contact our passengers with as much notice as possible and are happy to offer an alternate date for your tour. Hopefully not, we do have complimentary ginger tablets onboard and stronger medication is available for purchase. Can I use my credit card on the boat? Metered outdoor car parking is available at the pier shopping complex car park adjacent to the terminal for around 80 cents per hour, undercover secure car parking is also available for around $13 per day, or if you don’t mind a short walk then outdoor car parking is available at Trinity Wharf for $6.50 per day. There is also some free all day car parking in Abbott and Florence Streets. What is served for lunch? Yes, we cater for vegetarians and other dietary requirements – please note we need to be made aware of your dietary requirements prior to the day of travel. 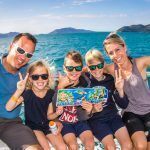 It is always our aim to show all of our guests the Great Barrier Reef at its best, if you can’t swim or are nervous we don’t want you to miss seeing the Great Barrier Reef – we have crew on board who will help you in the water – you can even do a scuba dive. I am a certified diver but can't find my certification papers. Can I still do a certified dive? My partner and I want to go diving but we will have our children with us, is there anyone to supervise our children while we dive? Unfortunately, we don’t have a child-minding on the boat so we cannot cater for infants, or anyone needing close supervision. However, if your children are old enough to go snorkeling on their own, we do have lifeguards watching the snorkelling area so they are in good hands. If you just let the lifeguards or any member of staff know that your children are entertaining themselves while you are heading off for a dive; they will be happy to keep a close eye out. Also we can certainly sort it out that you can both scuba dive at different times so there is always one of your with your child or children. Will there be jellyfish in the Water? Jelly fish at the reef – just to clarify we don’t actually get any box jellyfish at the Great Barrier ReefThey breed in the freshwater streams and creeks and when the wet season arrives normally late January early February they get flushed back along the beaches which is the reason that you can’t swim at the beach in Tropical North Queensland unless you use a net – we have some of the most beautiful rainforest waterfalls and freshwater swimming holes in the World and of course you can swim at the Outer Barrier Reef all year roundThere are also Irukandji sometimes at the reef but they are rare ….and it would be far worse odds to travel by plane or car and be involved in an accident than it would be to be stung at the Great Barrier Reef however we think it is a great idea to wear a wet suit. Will I get sunburnt and wearing a wet suit? You need to allow 24 hours from your last dive before flying. Minimum age for trying scuba diving is 12 years. Minimum age for certified scuba divers is 10 years. All divers will be required to complete a medical questionnaire onboard the vessel before diving. Some medical conditions and/or medication may stop you from participating in Scuba Diving. 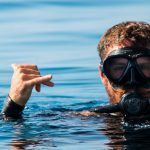 Please read our important information page & medical questionnaire if you answer yes to any of the questions then we suggest you see a Dive Doctor prior to your trip with us to avoid disappointment. For any questions concerning a medical condition or medication, please contact our office before booking your trip to avoid disappointment on the day.